International Journal of Engineering and Applied Computer Science (IJEACS) welcome readers, contributors and newly joined members. IJEACS is blind peer-reviewed, high quality, indexed, scholarly, open access, multidisciplinary, monthly publishing, refereed online journal. IJEACS focus on publishing of latest innovation, theories, research methodologies, interpretation of concepts and applications field of Engineering and Computer Science. IJEACS is organized by a group of well-established academicians and researchers, who have rich experience and significant contributions in research and academia. Submitted manuscript is reviewed by IJEACS highly professional, technical and editorial board members with some independent reviewers including professors and researchers around the globe. This scientific journal is publishing by genuine, lawfully established British publisher Empirical Research Press Ltd. which is a journal and book publishing company registered in England and Wales with registered office in London, United Kingdom. A digital publication certificate is issued as a proof of publication with IJEACS, mentioning names of all authors and details of published article. IJEACS also submit copyright of publication through a leading copyright handling company. The copy right certificate also issued to authors of article. The complete issue of e-journal can be downloaded from the current issue and archive of this portal. IJEACS article, e-journal are published, distributed under the terms of Creative Commons Attribution 4.0 International License. The editorial office of IJEACS take care of authors’ research work and reputation with submission of published article to popular databases for high citation and distribution. 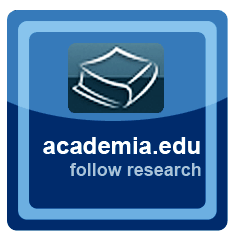 The articles are included in following research sharing and indexing providers. IJEACS publisher is continuously trying for expending of articles indexing and distribution with more reputed databases. Every individual e-journal issue is being published with unique ISBN issued from ISBN UK centre. The International Journal of Engineering and Applied Computer Science (IJEACS) cover all areas of Computer Science and Engineering, for details kindly refer to Call for Paper. IJEACS publish original research articles, review articles, expended conference papers and technical reports. The journal reviews submitted papers within one month from submission and publishes accepted articles online immediately upon receiving the final camera ready copy. IJEACS invites authors to submit their original and unpublished work, written in English and formatted on IEEE journal style template. IJEACS is intended to contribute for building knowledgeable, intellectual human society for making life safe and easier.